Cute polka dots! This blanket is backed with light pink minky. *** This blanket is a large 36" x 29.5" - great for covering you child in a stroller or car seat. My kids loved carrying these blankets everywhere they went! This size is generous enough to keep them warm and not too hot. 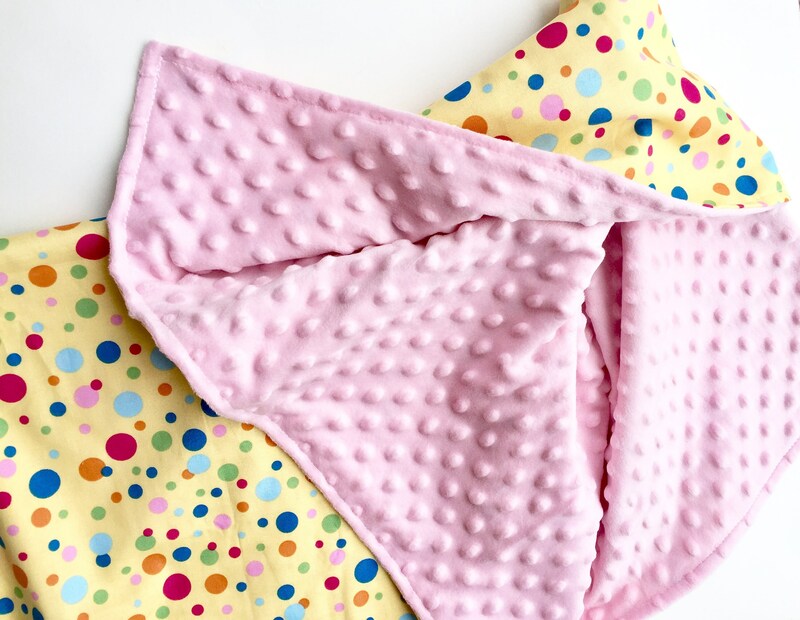 *** This blanket would be a great baby shower gift for the new Mom-to-be!